Not all patients with blood clots in their legs – a condition known as deep vein thrombosis – need to receive powerful but risky clot-busting drugs, according to the results of a large-scale multicentre clinical trial involving McMaster researchers. Clearing the clot with drugs and specialized devices did not reduce the likelihood that patients would develop post-thrombotic syndrome, the American-Canadian study found. This complication can leave patients with chronic limb pain and swelling, leading to difficulty walking or carrying out their daily activities. Use of the potent drugs did, however, increase the chance that a patient would experience a dangerous bleed. All patients in the trial, called the Acute Venous Thrombosis: Thrombus Removal with Adjunctive Catheter-Directed Thrombolysis (ATTRACT) study, were treated in a U.S. study design. Data management was led by the Ontario Clinical Oncology Group (thrombosis division) at McMaster University and Hamilton Health Sciences. The findings were published by the New England Journal of Medicine on Dec. 6. “For decades, it has been said that it would not be possible to do a large, well-designed trial that would answer this question,” said Clive Kearon, the data coordinating centre’s principal investigator, a professor in the Department of Medicine at McMaster and a clinician of Hamilton Health Sciences. The ATTRACT study, a randomized controlled trial, was designed to determine whether performing a procedure that delivers clot-busting drugs directly into the clot as part of initial treatment for patients when they are first diagnosed with deep vein thrombosis would reduce the number of people who later develop the syndrome. However, the researchers noted an increase in the number of people who started bleeding after undergoing the procedure. While the numbers were small – one patient (0.3 per cent) on standard treatment experienced a bleed, compared with six (1.7 per cent) of those who received clot-busting drugs – and none of the bleeds were fatal, the increase in bleeding was considered to be a red flag. While the study showed that most patients should not undergo the procedure, the data does hint that the benefits may outweigh the risks in some patients, such as those with exceptionally large clots. The ATTRACT study was led by researchers at Washington University in St. Louis, Missouri; Massachusetts General Hospital in Boston, Massachusetts, St. Luke’s Mid-America Heart Institute in Kansas City, Missouri as well as McMaster University. Support for the ATTRACT trial came from the National Heart, Lung and Blood Institute of the National Institutes of Health; Washington University’s Center for Translational Therapies in Thrombosis; Washington University’s Institute of Clinical and Translational Sciences, which is supported by the National Center for the Advancement of Translational Sciences; Boston Scientific, and Covidien (now Medtronic). Study drug and funding was provided by Genentech (a Roche Company). Compression stockings were donated by BSN Medical. Not all patients with blood clots in their legs – a condition known as deep vein thrombosis – need to receive powerful but risky clot-busting drugs, according to the results of a large-scale multicentre clinical trial involving McMaster researchers. Clearing the clot with drugs and specialized devices did not reduce the likelihood that patients would develop post-thrombotic syndrome, the American-Canadian study found. This complication can leave patients with chronic limb pain and swelling, leading to difficulty walking or carrying out their daily activities. Use of the potent drugs did, however, increase the chance that a patient would experience a dangerous bleed. All patients in the trial, called the Acute Venous Thrombosis: Thrombus Removal with Adjunctive Catheter-Directed Thrombolysis (ATTRACT) study, were treated in a U.S. study design. Data management was led by the Ontario Clinical Oncology Group (thrombosis division) at McMaster University and Hamilton Health Sciences. The findings were published by the <em>New England Journal of Medicine</em> on Dec. 6. “For decades, it has been said that it would not be possible to do a large, well-designed trial that would answer this question,” said Clive Kearon, the data coordinating centre's principal investigator, a professor in the Department of Medicine at McMaster and a clinician of Hamilton Health Sciences. “However, this American-Canadian collaboration has shown that with motivation, willing patients, investigator expertise and appropriate funding, complex studies like ATTRACT can be successfully completed.” The ATTRACT study, a randomized controlled trial, was designed to determine whether performing a procedure that delivers clot-busting drugs directly into the clot as part of initial treatment for patients when they are first diagnosed with deep vein thrombosis would reduce the number of people who later develop the syndrome. The study involved 692 patients, randomly assigned to receive blood thinners alone or blood thinners and the procedure. Each patient was followed for two years. The clinical trial showed that routine use of the procedure did not reduce the chance of developing post-thrombotic syndrome. The complication developed in 157 of 336 (47 percent) of people who underwent the procedure and 171 of 355 (48 percent) of people who did not, a difference that is not statistically significant. The procedure did reduce the severity of post-thrombotic syndrome, easing patients’ long-term symptoms. 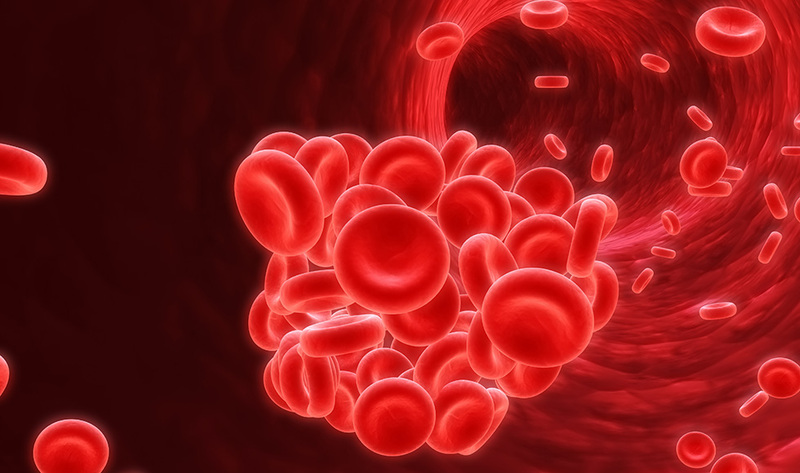 About 24 percent of people on blood thinners alone experienced moderate to severe pain and swelling, but only 18 percent of people who were treated with blood thinners and clot busters did so. The procedure also alleviated pain and swelling in the early stages of the disease, when patients are often very uncomfortable. However, the researchers noted an increase in the number of people who started bleeding after undergoing the procedure. While the numbers were small – one patient (0.3 per cent) on standard treatment experienced a bleed, compared with six (1.7 per cent) of those who received clot-busting drugs – and none of the bleeds were fatal, the increase in bleeding was considered to be a red flag. While the study showed that most patients should not undergo the procedure, the data does hint that the benefits may outweigh the risks in some patients, such as those with exceptionally large clots. The ATTRACT study was led by researchers at Washington University in St. Louis, Missouri; Massachusetts General Hospital in Boston, Massachusetts, St. Luke’s Mid-America Heart Institute in Kansas City, Missouri as well as McMaster University. Support for the ATTRACT trial came from the National Heart, Lung and Blood Institute of the National Institutes of Health; Washington University’s Center for Translational Therapies in Thrombosis; Washington University’s Institute of Clinical and Translational Sciences, which is supported by the National Center for the Advancement of Translational Sciences; Boston Scientific, and Covidien (now Medtronic). Study drug and funding was provided by Genentech (a Roche Company). Compression stockings were donated by BSN Medical.